HAWAII — A journey to the Island of Hawaii takes you through lush tropical valleys peppered with cascading waterfalls, past fascinating lava coastlines, and fiery volcanoes whose eruptions made headlines this past summer. On a recent fam trip sponsored by Hawaii Tourism Canada, Travelweek ventured onto the island to explore its dynamic offerings and witness firsthand that on the largest and youngest of the eight Hawaiian islands it’s business as usual. The island, formerly known as The Big Island, shows off its goldmine of staggering natural wonders through a myriad of outdoor activities – including hiking, snorkelling, sailing, biking, horseback riding, stargazing and more. Paradise Helicopters offers aerial tours of the island with its craters and lava flow. For excursions with a greater sense of purpose, Hawaiian Legacy Tours takes visitors to the slopes of Mauna Kea to plant their own Legacy Tree – meaning, it will never be cut down – as part of the company’s sustainable reforestation efforts. 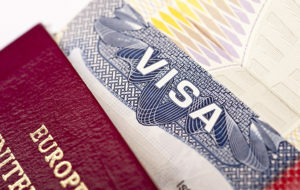 Canada, which currently makes up close to 6% of the overall visitors to the Island of Hawaii, represents the fourth largest market for Hawaii (U.S. West is first, U.S. East is second and Japan is third). According to the Hawaii Tourism Authority’s most recent visitor statistics report, year to date as of September 2018 there were 382,394 Canadian visitors to the State of Hawaii (up 4.0%); and 74,039 to the Island of Hawaii (up 0.8%). With both Air Canada and WestJet offering seasonal nonstop service from Vancouver to Kona this winter, and Hawaiian officials investing an additional US$2 million to promote the islands of Hawaii, those numbers are likely to rise. Though some activities were impacted by the volcano — most notably the operation of some of the guided hikes to the lava flow — there is still so much to see and do. “Travellers can learn about the destination’s history and culture at five national parks, sites and trails – including the recently reopened Hawaii Volcanoes National Park,” said Birch. The park, a UNESCO World Heritage site, is renowned for its two active volcanoes: Kilauea and Mauna Loa. Visitors can view the volcanology exhibits at the Jaggar Museum, hike along the crater rim to see the steam vents, and dine at the Volcano House restaurant which reopened in October and overlooks the Kilauea summit. A positive impact from the eruption is that the island has the cleanest and clearest air quality since 2007, optimal for viewing Mauna Loa, Mauna Kea, Pu’u ‘O’o and the Pacific Ocean. A scenic drive along the Chain of Craters Road allows for visitors to take in dramatic caldera views. To see the volcanic rock at the edge of the ocean is a reminder that the island is continuously expanding. Since 1983 alone, Kilauea has added more than 875 acres of new land to the island. Roberts Hawaii, Wasabi Hawaii Tours and Hawaii Forest & Trail offer a variety of guided excursions to the island’s most scenic and spellbinding locations, including under-the-radar spots that are privately-owned and otherwise inaccessible. The tours are perfect for client day trips to the island, too. It’s no surprise that Hawaii Island is home to many world-class hotels, two of which hosted media on this fam trip. 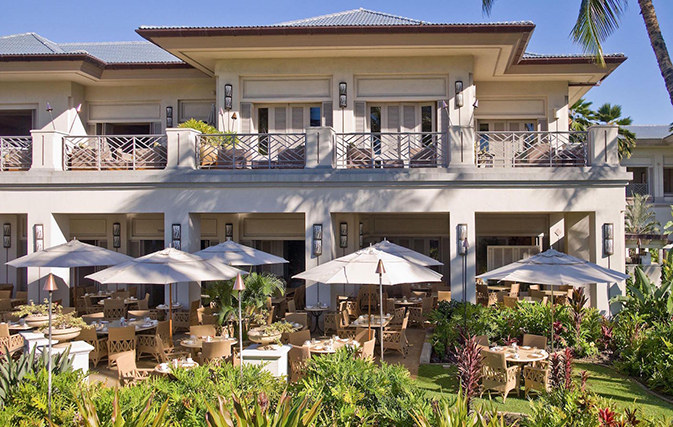 The Fairmont Orchid Hawaii is a sprawling 32-acre resort nestled in a sheltered bay along the northerly Kohala Coast. Renowned for its casual luxury, the resort offers spectacular ocean or mountain views and every room has a private lanai (patio). And at the newly renovated and branded Grand Naniloa Hotel Hilo, a Doubletree by Hilton, guests can experience a laidback vibe at this contemporary beachfront property located on the shores of the island’s capital. In other hotel news, the Hapuna Beach Prince was recently rebranded to Westin Hapuna Beach Resort; the Mauna Lani Bay Hotel and Bungalows is slated to reopen in November 2019 as Auberge Mauna Lani; and in 2021, expect the re-opening of Kona Village that has been closed since the tsunami of 2011. 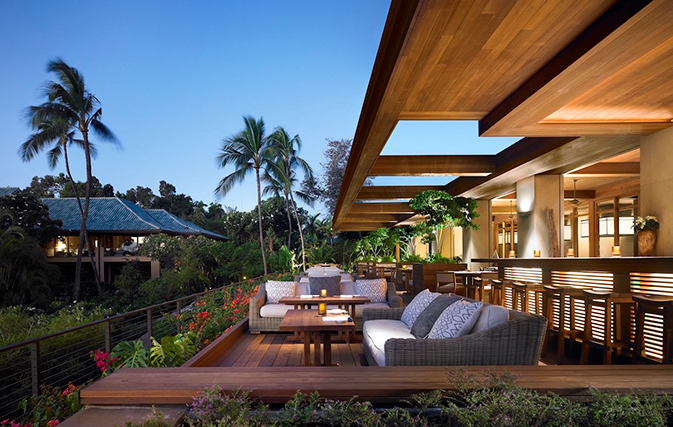 Over on Lanai, one of the Hawaiian archipelago’s smallest and best-kept secrets, though likely not for long, the Four Seasons Resort Lanai is welcoming guests into a world of luxury. The property overlooks Hulopoe Bay, a marine preserve, and features a Nobu restaurant (the first Nobu outpost in the Four Seasons chain), its own rental car fleet, and modern Polynesian inspired rooms outfitted with every technological feature imaginable, including Japanese toilets. In lieu of key cards, guests here get key wristbands that resemble a Fitbit. The island, purchased by Oracle co-founder and billionaire Larry Ellison in 2012, has a tropical island meets country charm feel. Ellison, whose vision is to turn the island into a beacon of sustainable living, owns the Four Seasons Lanai and its sister hotel, The Lodge at Koele that will reopen as a spa and wellness destination by the end of the year. Lanai is perfect for clients who are looking for all the activities of the other Hawaiian islands, but without the crowds. For more information on the islands of Hawaii see go.hawaii.com/ca.